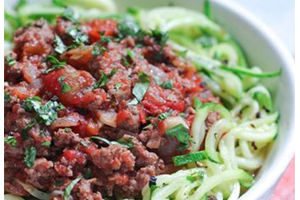 It’s been a while since I’ve had cooked zucchini noodles or “zoodles”. Recently, I’ve mostly been eating them raw. 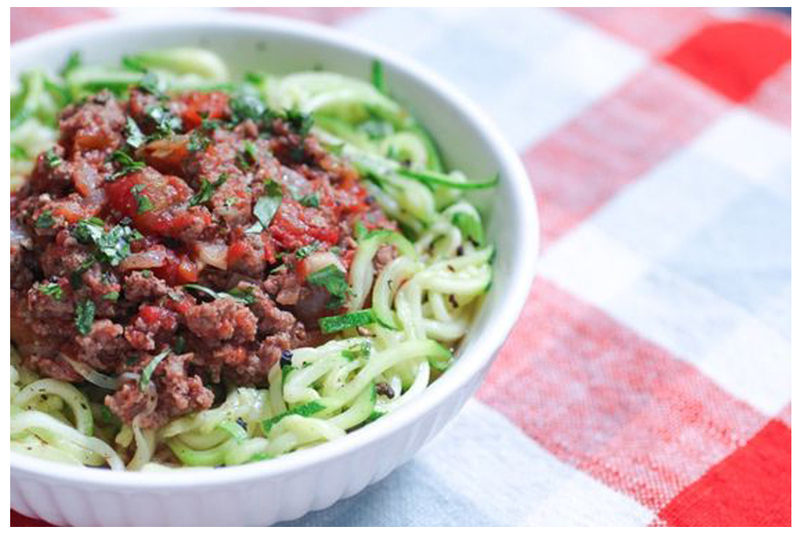 However, it’s been pretty cold and gloomy here for the past month or so… (San Diego is normally pretty chilly and cloudy during May/June), so I’ve been craving hot, comforting dishes like these zucchini noodles with bolognese. 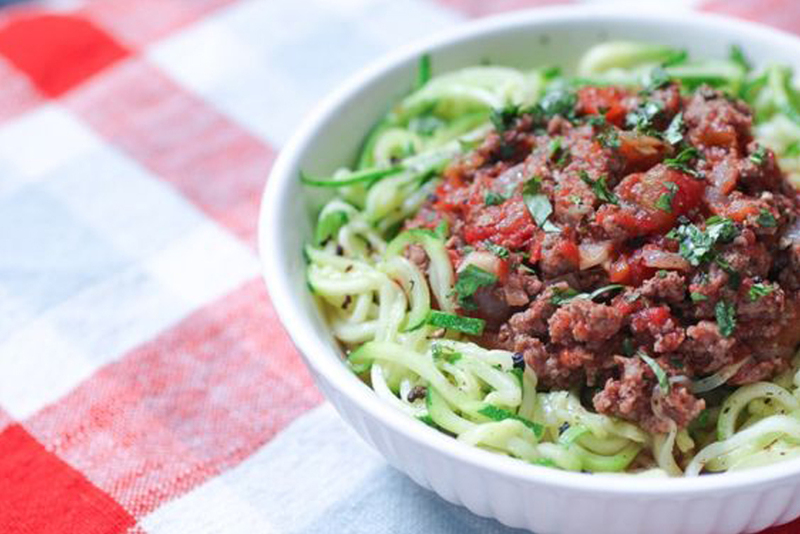 For anyone that’s still holding out on buying a spiralizer, please, do me a favor and just get one already. It’s an extremely cheap kitchen tool considering how many different dishes you can create with it. 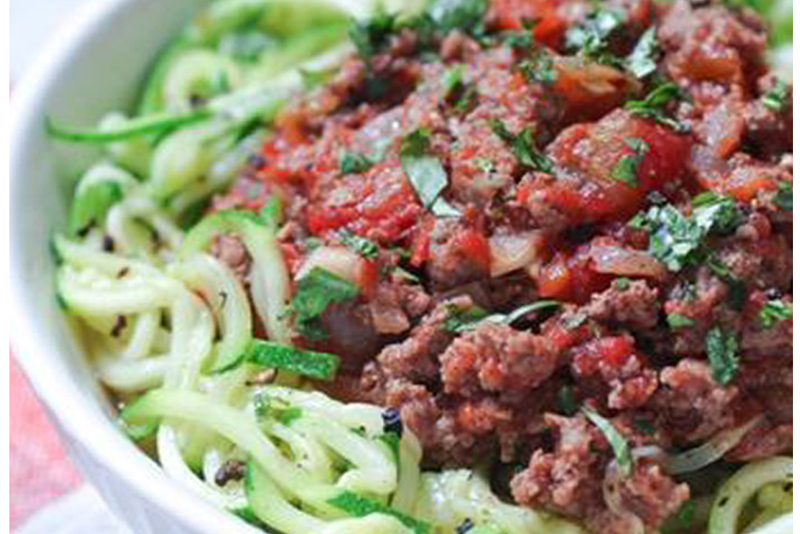 Especially if you’re having a hard time giving up pasta, a spiralizer will really help! Bolognese is traditionally made with a bit of cream and some wine, carrots and celery but I left those out. I would have included everything but the cream, but I didn’t have those on hand, so I experimented! I also left out dried oregano, basil, etc. as I wanted to highlight the tarragon, but if you love those spices, feel free to add them! It’s hard to “mess up” fresh ingredients. I always encourage a little experimenting in the kitchen, that’s when it really starts to be fun! This dish came out bursting with fresh, clean flavors and was just the kind of warm, comforting meal I was longing for. Simmer for 15 minutes or more. The longer you let it simmer, the tastier it will be! 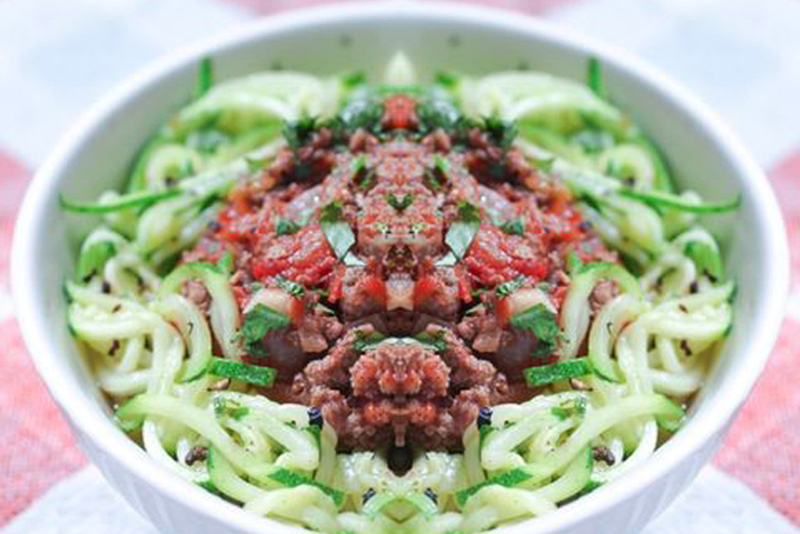 While sauce is simmering, sauté spiralized zucchini in 2 tablespoons of olive oil and stir continually until they start to soften, about 5 minutes. Be careful not to overcook the zucchini or it will become too mushy. Think of al dente pasta, that's the texture you want.